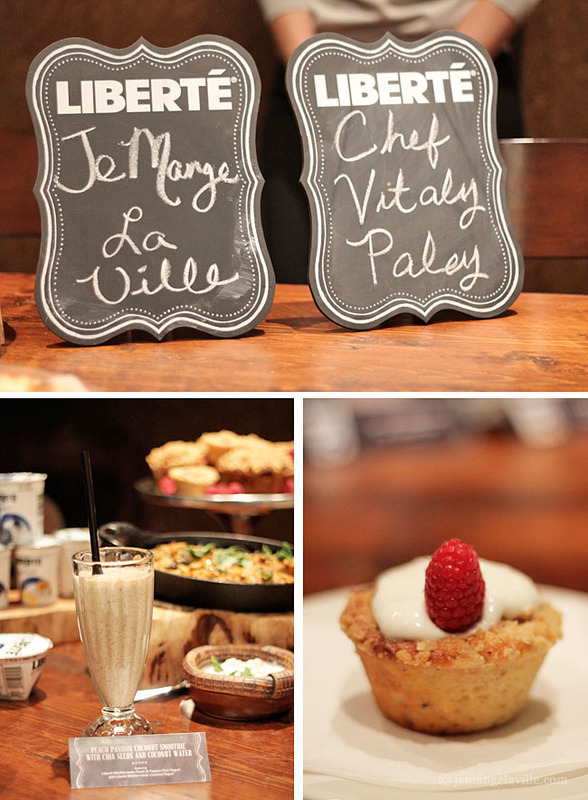 This French Friday’s with Dorie is seemingly pretty healthy but also quite delicious! I’ve actually had this twice so far just this week. I did make a few substitutions (of course). Instead of tomato and cucumber, I used finely diced zucchini and red bell pepper. 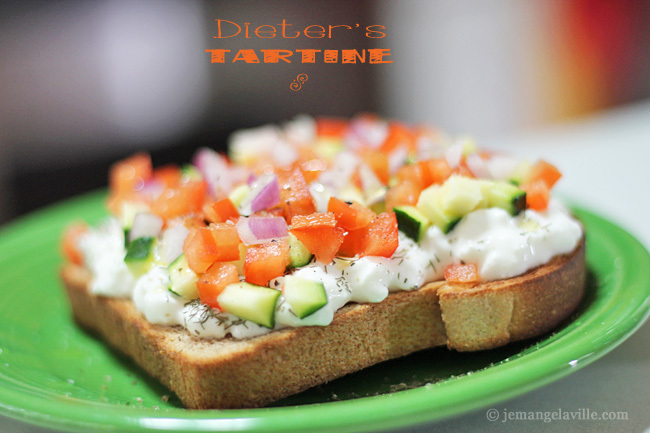 I also added a bit of diced red onion and right on top of the cottage cheese and yogurt, I sprinkled some dried dill. Let’s see, what else? Oh and I used toasted spelt bread instead of white bread. The other night, jwa and I were just hanging out, minding our own business and watching The Daily Show, when he got a text asking if we wanted some tuna. At first, I was a little jealous because I’m usually the one who gets contacted about receiving free food. 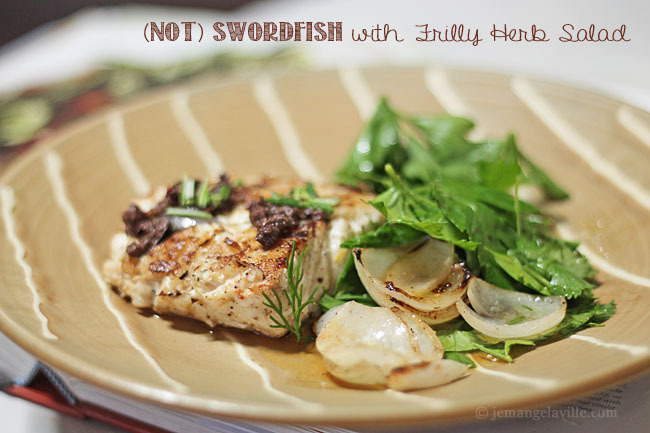 French Fridays this week was a light, summery, simple fish dish – Swordfish with Frilly Herb Salad. Except, I used halibut instead of swordfish. I probably could have found some swordfish if I had put more effort into it, but really, I am all about the medium-sized effort. That and there was some really beautiful Alaskan halibut that I could very easily get, so there’s that. 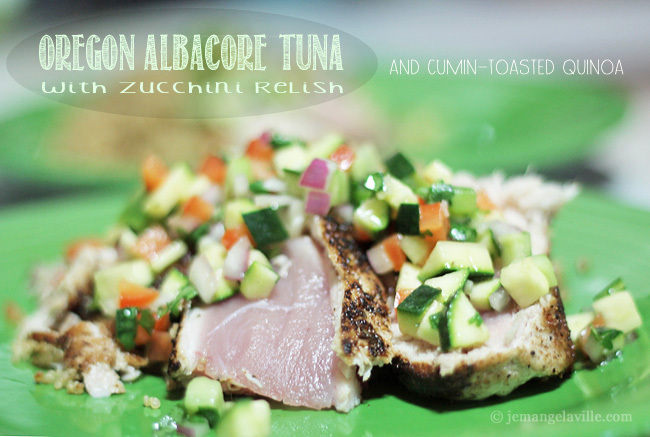 Aside from the swordfish and halibut, I think this would also work very well with tuna. 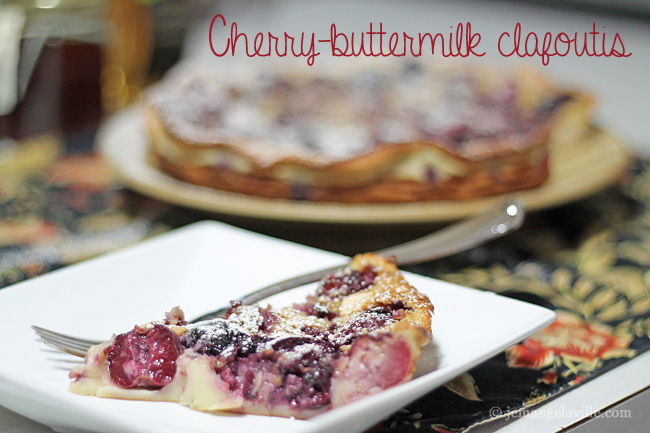 In reading through the recipe for this last week’s French Fridays with Dorie, I was skeptical about leaving the cherry pits in. “That sounds dangerous,” I said to myself. So, I made the decision to pit my cherries. I know a lot of people left them in, and I respect that, but I just couldn’t do it. The result, I thought, was good (generally, I’m not a fan of egg-y cakes). Perhaps, it would have been more flavorful with the pits left in, who knows?